In part one of this two-part blog, we discussed the SOLIDWORKS Rx tool and the steps for recording your problem while using the software. Using this technique to capture information often requires the issue to be repeatable. But, what if the behavior itself is inconsistent? Fortunately, we can still gather most of the information captured by SOLIDWORKS Rx, after the fact! When you use SOLIDWORKS Rx to capture an issue, Rx gathers a bunch of information pertinent to the software’s behavior such as hardware specs, crash data and system event logs. In an ideal scenario, it also captures a video screenshot of the event to help communicate what the user is doing while the event occurs, as well as any SOLIDWORKS files that are in memory at the time. All this information, aside the video, can be gathered after the event and therefore, it isn’t always necessary to know when to record ahead of time. 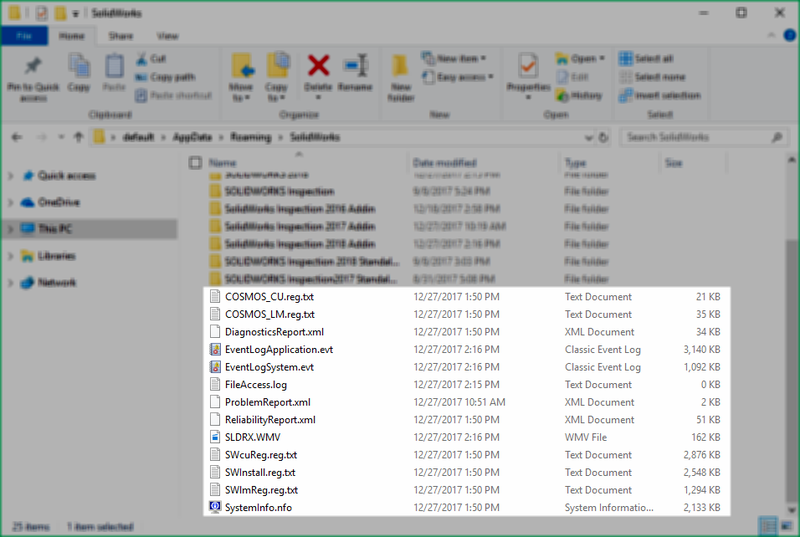 Let’s say you begin noticing frequent crashing in SOLIDWORKS, but you can’t pinpoint any specific action that seems to trigger the crash. 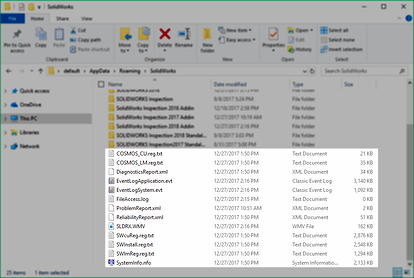 All you need to do is wait for a crash to occur, refresh the information that SOLIDWORKS Rx captures, and package the existent zip files. 1. Immediately after the “event,” save any work and close SOLIDWORKS. 2. Open up SOLIDWORKS Rx, by going to Start > SOLIDWORKS Tools > SOLIDWORKS Rx. (Alternatively, you can also search for “Rx” in your Windows Start menu). 3. 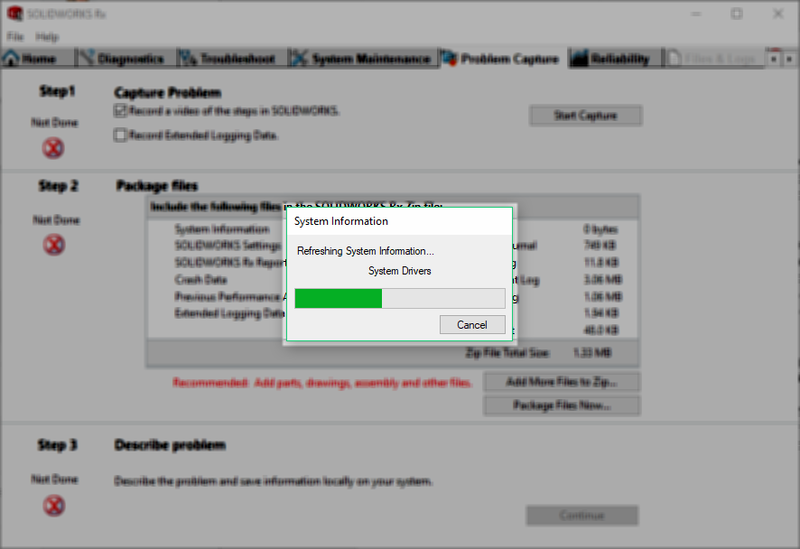 Go to the Problem Capture tab, at which point a small window should appear, indicating that the system information is being refreshed. Allow this refresh to complete. 4. Skip step 1 of capturing video of the problem. That ship has already sailed. 5. Under step 2, select “Package files now” and note the “date modified” times of the resultant files should all be new. 6. Complete the documentation of the issue in step 3. This is particularly important since there will be no video capture included. A detailed description of the problem is necessary so that the support engineer viewing the report knows what they’re looking at. 7. Send this package to support@trimech.com. 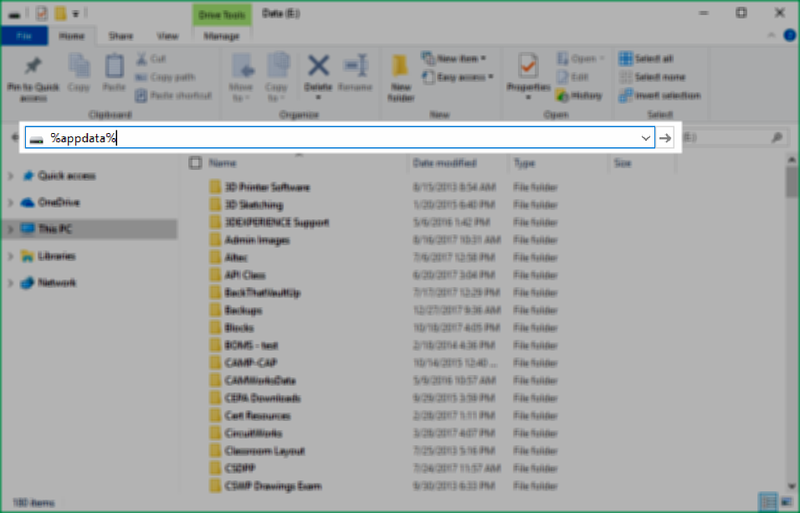 From there, navigate to the SOLIDWORKS folder and manually bundle the individual file contents of this location (no sub-folders) into a zip folder that can be sent to the Support Team. Just note that the data could be old if it has not been refreshed since the incident you intended to capture information for. Want to master your 3D CAD skills? Sign up for a SOLIDWORKS Training course today!